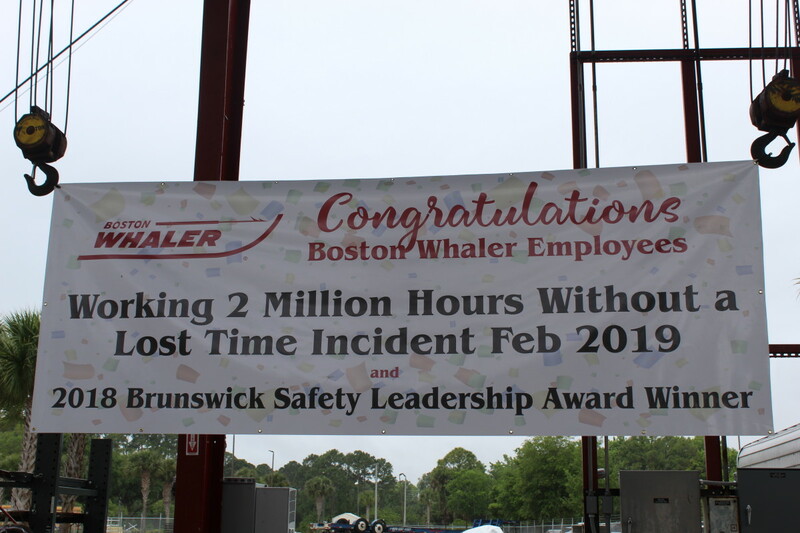 Boston Whaler employees logged two million hours without a lost-time incident. As of February 20, the accident-free streak represents about 12 months of work. At Boston Whaler, new employees go through many hours of training to learn safety procedures and protocols as part of the company’s Touchpoint Program. Team leaders are trained in OSHA regulations and a cross-departmental safety committee is trained in first aid, CPR and other procedures. To celebrate the milestone, the company held a cookout on April 2.